Leather goods are prized for their beauty and durability, but tanning leather uses and pollutes large amounts of water. 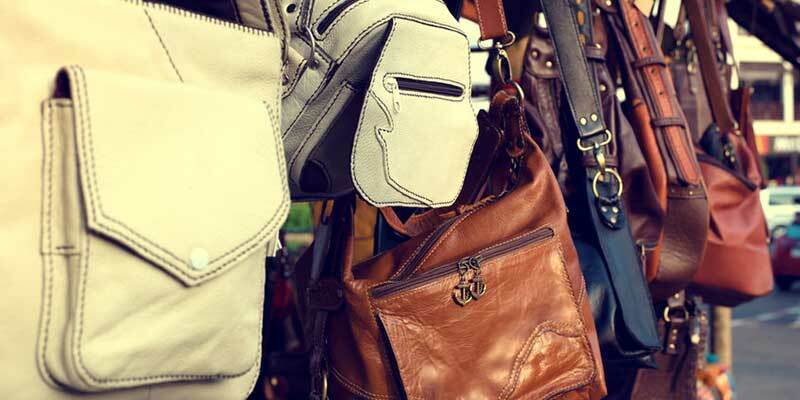 With care, leather goods tend to be tougher a1nd more durable than nylon, canvas, or various imitation leather products, but their desirability transcends function and enters the world of beauty and style. But durability and beauty come at an environmental price. Although the total water footprint of the leather industry does not rival an industry like the hydroelectric power sector in absolute numbers, the leather tanning industry, for its size, is one of the most water-intensive industries across the globe, from the water used to raise animals to the water used in tanning and finishing processes. The industry is also notable for the amount of wastewater it produces, sometimes with a heavy pollutant load. When calculating the water footprint of leather, it’s important to begin at the beginning with the water used in raising the animals. It is estimated that one head of cattle requires 1,890,000 L of fresh water to raise, approximately 5.5% of which can be attributed to the leather, leading to a water footprint figure of 103,950 L for one hide. The total global water consumption annually for the bovine leather industry is 400 billion L.
Although production of leather is water-intensive, it should be noted that hides used to produce leather are virtually all from cattle that are raised for beef, so it can be said that the entire leather industry is simply using a byproduct that would otherwise go to waste. A South African study conducted in 2017 by C.D. Wentz, et al., details the specifics of water consumption in tannery operations and wastewater pollution loads, and provides recommendations for best practices in the industry. In most cases, raw cattle hides are first processed with chromium (III) oxide into a material called wet blue, a stable product that is resistant to decomposition. For sheepskin, this phase is called fellmongery and produces pickled sheepskin. This phase of the tanning process, the most polluting, is often carried out in developing countries, which export the materials to developed countries with stricter environmental laws. Dyehouse operations encompass splitting hide to specific thicknesses, shaving, neutralizing, retanning, dyeing, and fatliquoring, which create a product called crust leather. Dyehouse effluent is less polluting than that of wet blue processing. During the finishing process, which requires very little water, a film is applied to the leather to protect it and increase durability. Tannery outflow pollution can contain strongly alkaline or basic mixtures, highly acidic mixtures, chromium salts, and sulfides. New technology is showing promise in cutting water use in the leather industry, such as one novel process that tans leather using only the moisture already present in hides, requiring neither special equipment nor chemicals while cutting water requirements by 20 L per hide. In a time of increasing drought and water scarcity, a water-intensive industry can’t afford to neglect water recycling and reuse, which can reduce water usage significantly. Some companies have cut water use by approximately 50% soon after instituting water conservation measures, including rainwater harvesting for production, reuse of water used internally during production, and extending reuse to entire facilities. Chromium can also be recovered from tanning effluent.